According to the Chinese zodiac, 2016 is the Year of the Monkey. 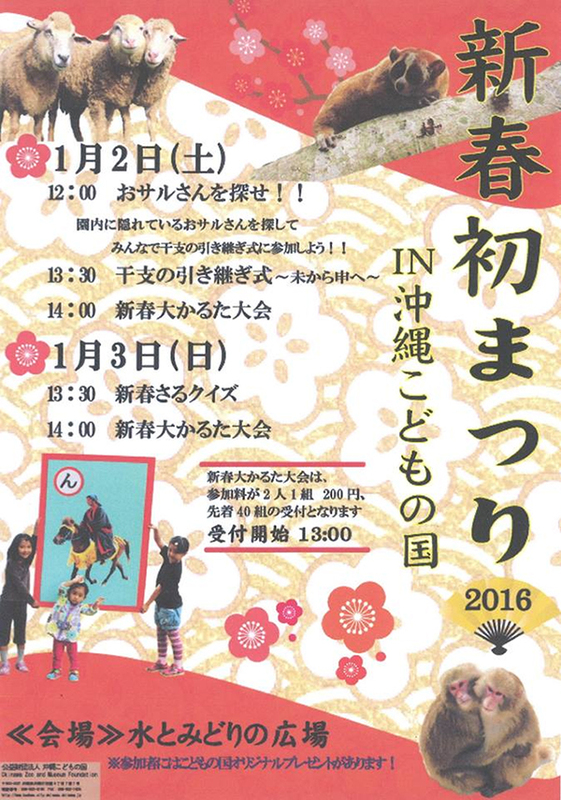 Plan a visit to Okinawa Zoo & Museum either on Jan. 2 or 3 and enjoy a variety of fun, monkey-themed events and activities. Okinawa Zoo & Museum is closed from Dec. 30, 2015 to Jan. 1, 2016.